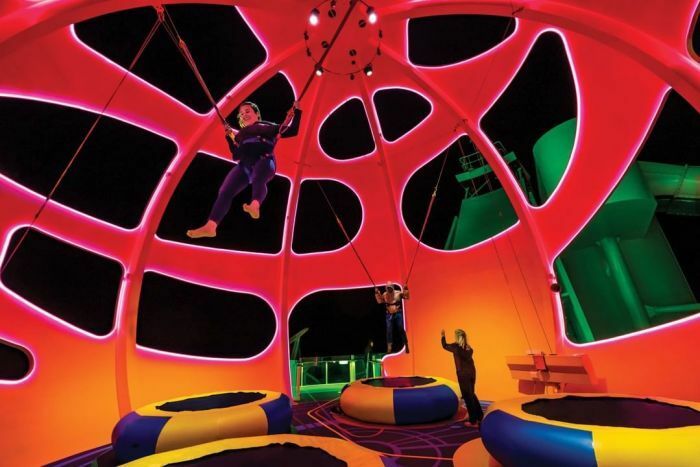 Royal Caribbean has temporarily closed a trampoline attraction on two of its cruise ships after a guest broke his pelvis when a bungee cord snapped off his harness. Florida man Casey Holladay has launched a $US10 million ($13.9 million) lawsuit against the world’s largest cruise ship company after falling around 6 metres while bouncing on the Sky Pad bungee trampoline in February. He broke his pelvis and dislocated his shoulder in the fall, and has reportedly been suffering painful side effects. 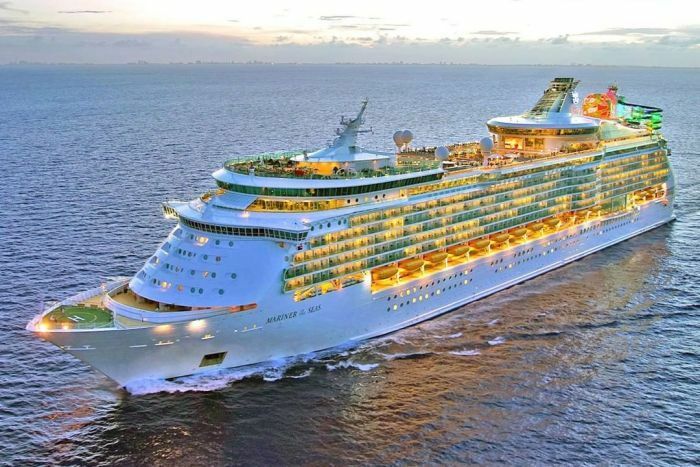 Royal Caribbean confirmed in a tweet to a customer that it had temporarily closed the attraction on its Mariner of the Seas and the Independence of the Seas ships. “We’re currently conducting a review of the safety as part of our commitment to safety for all of our guests,” Royal Caribbean said. 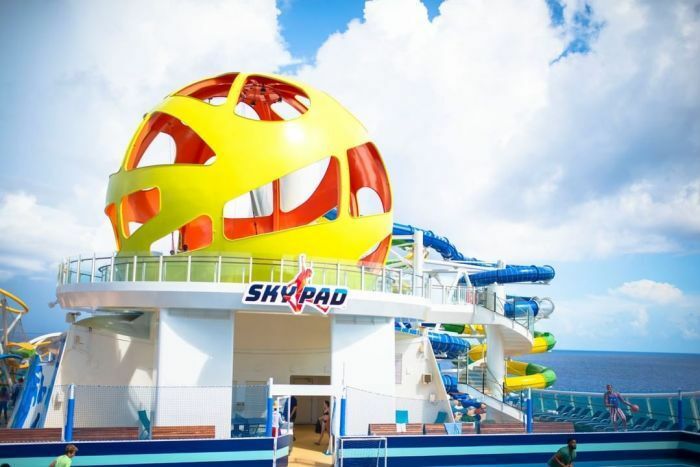 The Sky Pad attraction also uses virtual reality headsets and promises guests an “out-of-this-world” experience as they bounce inside a large dome on the ship’s deck. It was installed as part of a $US100 million ($139 million) renovation of Royal Caribbean’s 4,000-person capacity Mariner of the Seas ship. Mr Holladay has had several surgeries on his hip since the incident and his lawyer Brett Rivkind said it was still adversely affecting his life. “Right now he can’t bear any weight [and] he’s in and out of doctors’ visits regularly to see how he’ll heal. He’s severely limited in his everyday activities. He has pain still,” Mr Rivkind told the Miami Herald.